In Ayurveda, cleansing is an important component in maintaining and extending mind, body and spiritual health. It is common knowledge that Spring is the season of cleaning and awakening our bodies from the cold winter to welcome the ray of grace from the warm sun. In the season of renewal and new beginnings the warmth of the sun moves closer to mother earth causing the coldness and heaviness of winter to melt and inspire us to awaken from our winter slumber. The rivers become fuller, the new seedlings breakthrough to welcome the nourishing sun, the bears yawn with excitement to come out of their long hibernation and all the birds chirp with joy as food sources become abundant! This is the second season of Kapha which constitutes the earth and water elements. During this transitional season the waters of earth liquify and cause wetness. Within our bodies the heat of the sun helps liquify the excess water element stored within our body from the heavy oily and nourishing foods we enjoyed during the winter season. The decadent and heavy meals enjoyed during the holidays combined with less movement during the cold winter can cause Kapha to accumulate within our bodies. All body types can experience a Kapha or Water and Earth imbalance during this season. This can appear within your body as lethargy, slightly unmotivated, harder to get going, allergies, colds and mucous on tap! Not to worry as this is nature’s therapeutic transitional season to lighten and and realign our body, mind and direction for the year. Cleansing is key to realigning during this season along with taking a curious look into your mind and seeing what behaviors, beliefs and lifestyle choices have been serving you and which have not. Taking inventory and cleaning out the closet internally and externally, eating lighter foods that are fresh all help in ushering back the lightness of the body and mind. As we move forward into the season look at the ideas and projects that have been percolating over the winter or even years. The time is now to birth them into existence with a vision, simple plan, discipline, deliberate practice and positive freshly cleansed mindset. Join me in a 5 or 7 day Ayurvedic cleanse to realign and birth an empowering and healthy year. Side Note: If you are experiencing a vata imbalance as a result of winter with symptoms like dry skin, anxiety, constipation, loss of weight, having difficulty making decisions, I have another plan for you to help rejuvenate and nourish your body and mind. Reducing the factors that cause toxin buildup in the cleansing centers, the liver and digestion, is of main importance. 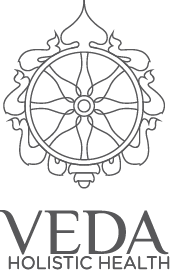 In Ayurveda that is called purva karma, the pre part of the cleanse were we reduce processed foods, alcohol, refined sugars, irritants such as gluten etc. We also take an honest look at the influences in our lives that have not or no longer support our wellbeing and remove them to the degree that we can. The main point of purva karma is halting the habits that are leading us to imbalance.